“Harvest of Quilts” is open to both quilters and quilt owners alike at no entry fee and visitors of the show choose the winners. This quilt, made by the Quilts ‘N Things Quilt Guild, showcases squares depicting the Mountain State. The quilt was part of the quilt show last year. 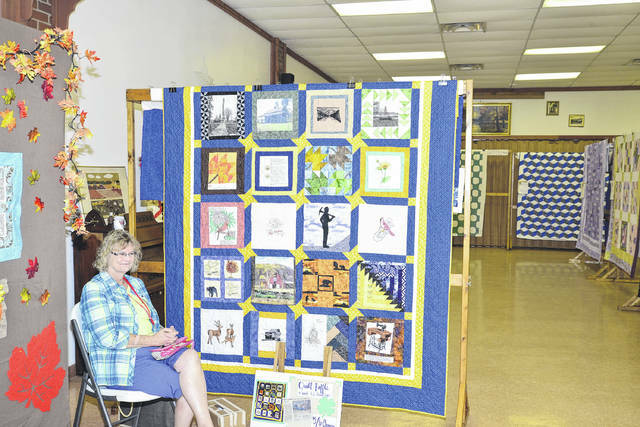 POINT PLEASANT — The 32nd annual ‘Harvest of Quilts’ will be making its return this October. 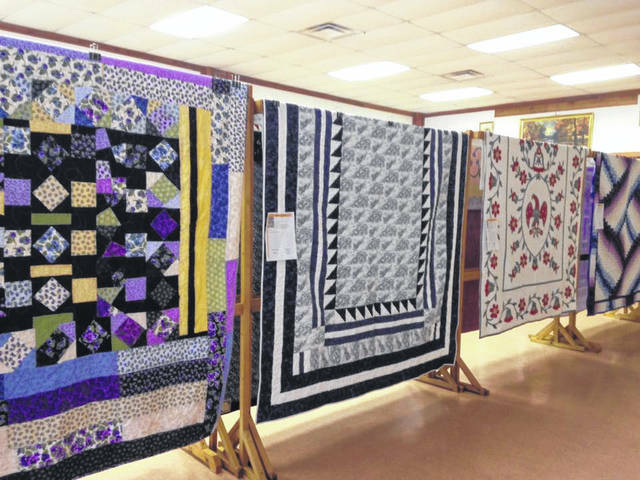 The quilt show will take place in conjunction with the West Virginia State Farm Museum’s Country Fall Festival, Saturday, Oct. 6 and Sunday, Oct. 7. It will be held in the conference room located behind farm museum’s dining room. The quilt show is sponsored by the Mason County Community Educational Outreach Service (CEOS). CEOS members Carolyn Litchfield, Sue Darst, Anne Byus, Yvonne Fetty, Marcia Nibert, and Clinedda Austin shared this show is open to both quilters and quilt owners alike. They explained if individuals own a quilt they would like to showcase, all they have to do is say who made the quilt and give some information on the quilt. Also, the show is open to anyone interested in submitting a piece with no entry fee for exhibiting or viewing. The winners will be chosen by the votes of the visitors. The people’s choice awards will be given in each of the following categories: large hand quilted, large machine quilted, small hand quilted, and small machine quilted. Quilts in categories such as old, new, pieced, appliqued, traditional, contemporary, bed size, or wall hangings may be exhibited. CEOS members shared in each category a handmade ribbon will be presented to the first, second, and third place winners. Also, individuals may also exhibit a single block in the chosen theme category. CEOS members shared the theme this year is “vintage” and the blocks can be styled as old, in new patterns, or in loving memory. As with the other categories, a handmade ribbon will be presented to first, second, and third place winners according to the people’s choice. Throughout both days of the show, small door prizes will be given out, commented Austin, and during tabulations of the days’ scores, refreshments will be provided in the dining hall of the farm museum. CEOS members shared each quilt show is chronicled in its own scrapbook yearly. Also,each year the quilt show will have featured quilts on display. They shared last year a feature quilt was a piece made for a man at war who never returned home and was stored away in an attic for many years. Litchfield shared the inaugural quilt show was held at Fort Randolph in the log cabin in the spring of 1986. She explained many people entered quilts into the contest, but enough of the public did not attend. Litchfield said it was decided, among those over the quilt show, the show needed to be held where more people would show. In result, the quilt show’s location changed to the farm museum during its annual Country Fall Festival. Austin added in result of the quilt show, the quilt guilds, Quilts n’ Things and Quilts and Things 2, were formed. Several members of the quilt guilds will submit pieces for the annual quilt shows, said Litchfield and Austin. CEOS members shared different sorts of pieces submitted through the years, for instance one year a 100 year old “crazy patch” quilt was a winner. Also, individuals of all ages participate in the show, such as a young Mason County girl, Annamae Keefer, who has been submitting pieces for a few years now.